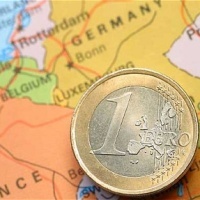 According to preliminary preliminary Eurostat data, in the second summer of this year, annual inflation increased even more in the euro area, and annual base inflation also increased. Annual consumer price index growth in this area in July was 2.1%, and was the highest since December 2012, when it was two percent earlier this month. This indicator is expected to remain unchanged. Meanwhile, the so-called base annual inflation, which does not take into account the changes in energy prices and food, alcohol and tobacco prices, has risen in the euro area from 0.9% to 1.1% in July, while the annual inflation rate was 1.3%.
. In this case, it is expected that it will be on average one percent. In July last year this indicator reached 1.2 percent. Annual increase in prices for services during the second month of summer increased from 1.3% to 1.4%, when it was 1.6% a year ago. Year-on-year increments for non-energy related industrial goods increased from 0.4 to 0.5 per cent. A year ago, this indicator was the same.